It’s a lot easier and cheaper to throw stuff in the landfill. It gets buried and we can forget about it. In fact, economists estimate that in Colorado, we bury $265 million worth of material in landfills every year. This includes materials that have remanufacturing markets right here in Colorado. And what about jobs? Landfills create jobs for sure. But recycling creates nine times as many jobs as landfilling does. Nine! And how about greenhouse gas emissions? Even taking into account transportation impacts, the embedded energy recovery in recyclables dramatically outweighs emissions from transportation. Materials would have to travel over 100,000 miles to get to the point where the GHG emissions from transportation outweigh the potential GHG emissions avoided through recycling. Recycling is just smart. The problem is, in Summit County we’re not very good at recycling. We only capture about 23 percent of those valuable materials and the rest goes to the landfill (remember, it’s cheaper and easier). Barriers to recycling include access, expenses, distance to free drop-off centers, materials accepted and contamination. It’s for this reason that I support 1A. It will raise $1.7 million dollars to overcome many of these barriers for residents and visitors. It also works. In 2014, Summit County voters passed the Safety First Fund (also 1A) by nearly two-thirds which committed monies to improve recycling of items like electronics, household hazardous waste (HHW) and pharmaceuticals. Using 2014 as a baseline, we recycled 112 tons of electronics and 12 tons of HHW. After dedicated funding and education from Safety First, those numbers jumped to 253 tons of electronics and 60 tons of HHW. The next year was 169 tons and 60 tons respectively. The trend has continued and we’ve saved waterways and open spaces from pollution and illegal dumping as a result. I urge you to support 1A this November. Recently I looked into the job performance of our three Summit County Commissioners. The results were disappointing. In 2013 our county’s annual budget was about $74 million. This year it’s $96 million, about 30 percent higher in just five years. With an improving economy, Summit County tax collections and spending continue to soar as property values and new developments drive property tax collections higher and higher. On top of that, as reported in the Summit Daily, sales tax collections are also breaking new records. Apparently, that’s not enough; I guess it’s never enough. Our commissioners now come with a sad story that they can’t possibly get by on an annual budget of nearly $100 million. They want more of your money, and Measure 1A is their answer. Wrapped in a deceptive package of promised fire mitigation spending, dig a little deeper and one finds that Measure 1A results in a massive property tax hike that has little to do with forest fires. As existing budgeted line items are replaced by new and hoped for ‘special’ 1A taxes, money would be freed up to fuel our county commissioners’ spend thrift ways, spending it any way they want. With county unemployment effectively at zero percent do we really need a flood of new social welfare spending? 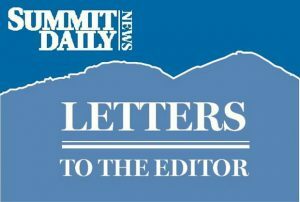 With the cost of home ownership and rent already too high, do we really need to extract new 1A property taxes from Summit County families in the form of higher mortgage and rent payments? I don’t think so. As an alternative, lets ask our county commissioners to do their jobs by establishing and achieving key priorities within the limits of our large and growing tax revenues. After all, not long ago they voted to increase their own pay and benefits; so it’s OK that we ask them to earn it, right? If for some reason they are unable to improve their performance, lets seek replacements with a more practical view of the scope of local government. 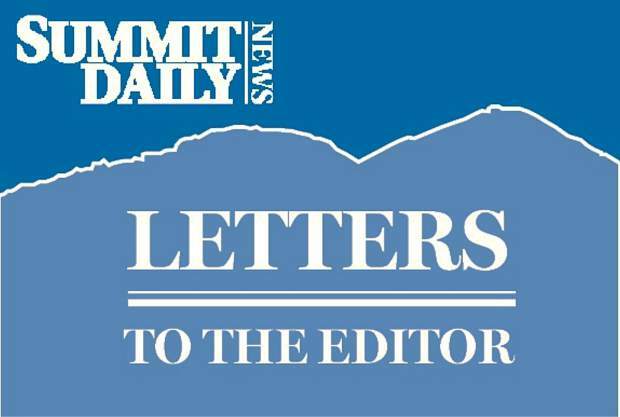 By taking a more sensible and disciplined approach to managing Summit County’s finances we can easily avoid an endless cycle of taxing and spending. Join me in voting NO on 1A. So happy to hear the news of Derek Woodman announcing his selection of Rachel Dunaway as his appointment to undersheriff upon his election. I worked with both undersheriff Derek Woodman and sergeant Rachel Dunaway at the Summit County Sheriff’s Office for almost seven years. Derek was my direct supervisor while I was serving as the front desk civil clerk and later as the public information officer when John Minor was the sheriff. I can’t stress the qualifications of both of these people enough and their overwhelming integrity and loyalty to the sheriff’s office. I no longer live in Summit County but I encourage all Summit County residents to support Derek by knocking on doors, sharing Facebook posts, putting up Woodman 4 Sheriff’s signs and, lastly, to vote for Derek. Derek was directly involved in every facet of the sheriff’s office during his tenure including the detentions division, patrol division, special operations including search and rescue, water rescue, animal control, drug task force and administration. Derek is the walking encyclopedia of all things Summit County Sheriff’s Office related for over 35 years. And don’t forget his invitation to and certification from the FBI Academy at Quantico. Please support former undersheriff Derek Woodman at the upcoming election for Sheriff of Summit County. He’s by far the best man for the job! I am writing this letter to wholeheartedly endorse Jaime FitzSimons for Summit County Sheriff. I have worked closely with Sheriff FitzSimons in the creation of Building Hope. Building Hope is the community wide effort to improve the mental health system and reduce the rate of suicide in Summit County. Sheriff FitzSimons has been a critical partner in the early success of Building Hope. What stands out for me about Sheriff FitzSimons is his passion, work ethic and commitment to bring about change. These traits are well illustrated in the sheriff’s work to bring a Crisis Stabilization Unit to Summit County. In addition to attending all the meetings related to the development of the facility, Sheriff FitzSimons spent an entire Sunday calling other sheriffs across the state to gain support for the new facility to be in Frisco. The sheriff’s efforts made a huge difference, and the facility is currently under construction. Sheriff FitzSimons’s commitment to mental health goes far beyond creating programs. He is deeply committed to helping individuals dealing with a mental health crisis. I observed the sheriff providing support to a woman who was fearful that her sister was in the process of committing suicide. The suicidal woman was in another state, but the sheriff was able to locate her and request law enforcement to respond to her location. Officers were able to intervene, and her life was saved. These are just a few of the examples of Sheriff FitzSimons’s passion and work ethic. I hope you will join me in voting for Jaime FitzSimons for Summit County Sheriff. In response to the ad placed in the Wednesday, Sept. 26 edition of the Summit Daily, “Support for Derek Woodman,” I, as an unaffiliated voter, was disappointed at the very negative nature of this ad and it makes me sad to think our county may be on the slippery slope of turning to nasty and hurtful campaign tactics like we see on the state and national level. I have met Sheriff FitzSimons and I like him. I especially like what he has done for mental health in our county. Treatment of mental illness is far better than incarceration when it’s the illness that is the root cause that often results in people being arrested and put in jail. I have also learned that our mountain rescue team can count on Sheriff FitzSimons, or someone from his staff, to show up on rescue calls, no matter what time of day, to be supportive to our rescue volunteers. I am also concerned about how we react to and treat each other when we may have opposing views. I witnessed a small incident at the Senior Center a couple weeks ago when the GOP Republicans were holding their meeting and had a cut-out of Donald Trump displayed. I absolutely respect the right of the GOP members to hold their meeting and do their party business without incident. I hope my Summit County friends and neighbors will rise above this hurtful behavior. We need to emulate the late Sen. John McCain and not those who act hurtful and hateful and obstruct everything folks with opposing views represent. I urge my fellow Summit County voters to learn the facts and educate yourself. This November’s ballot is going to be chock full of county- and state-wide races, initiatives, amendments, referendums and propositions. Please register to vote, educate yourself and VOTE for the person (not the party) you think will do the best job! Rarely in my 40 years in Summit County do I publicly endorse a candidate, but these days we have learned we need to speak up, and that today in politics there is good and bad. Sherrif FitzSimons is a rare man, a good and caring man, and in these days of police power, he is a very caring and kind individual even and makes our county a better place. 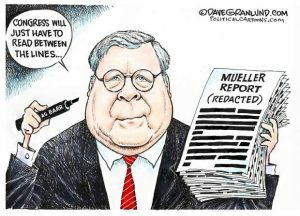 His opponent believes in “dirty politics “ and I hope we all have had enough of that. Empathy is a word we need to put first when putting people in power. Sheriff FitzSimons is the man we all need to elect.